For over 80 years, Centris has remained true to their original goal of offering secure financial products while striving toward excellence through quality service to each member. They employ over 240 people among 12 offices, 11 are located in Nebraska: 7 branches and the headquarters building in Omaha, 1 each in Bellevue, Grand Island, and North Platte. Their twelfth office is located in Council Bluffs, Iowa. Their vision statement is as follows: Centris is the place where everyone wants to work and belong. Their mission statement is: Centris Federal Credit Union’s mission is to be a trusted life-long financial partner. Trust is a key component of the Centris Way. They must al, at all times, foster the trusted relationships that they have built with their members, and to earn the trust of future members to come. Service to their members is everyone’s first responsibility and priority, which you will see throughout this interview with Steve Swanstrom, Centris’ CEO. Born in Omaha, Nebraska and raised in Sioux City, Iowa. I began my education at University of Iowa as a Pre-Med major and after talking it over with my aunt (a nurse), decided to switch to Economics in the College of Business.  I received my MBA from Creighton University, after a few years of work experience in Sioux City. My banking trajectory started climbing at Commercial Federal in Omaha. As an economist by education, how do you balance the cost-benefit side of your thought process and the well-being of your members and employees? support from the employees is where you gain the most traction. Employee buy-in is the foundation. Fear and intimidation, as well as financial incentives don’t work. Having a purpose drives the company toward that goal. Once that is all in place, the financials and economics work themselves out. We have 90,000 members, all of whom have an equal voice in our operational direction. Because the members are the owners, their voices drive the direction that our initiatives push us as a company. I feel lucky to work for a company that is more of a cooperative structure, and the collectivism therein. Break down Centris’ vision for us. Talk about the ethical culture at Centris. Our tolerance depends on the situation. We would tolerate an inexperienced employee who didn’t know better incurring their first offense. We would not tolerate an employee who had been warned previously. How is ethics infused in Centris? Do you have any stories that are told over and over, that define the honesty, fairness, respect, etc. upon which Centris is based? Have you always done business in Omaha? Where else? I’ve been in Omaha professionally for 20 years, had 2 years in Sioux Falls, South Dakota, and 4 years in Sioux City, Iowa.  The Ethical Omaha Project of the Business Ethics Alliance has identified the Omaha business core values to be accountability, community responsibility, financial vitality, integrity, and moral courage. How do they fit at Centris, and what do they mean to you? Centris’ core values are honesty, integrity and trust, caring heart, futuristic, and team. Accountability is teamwork. It’s not letting your teammate down, or watching them do all the work. Community responsibility means having a caring heart for others. Financial vitality is all about the future – surviving to serve the needs of others in the future. Integrity means trust. People do business with people they trust. Moral courage is honesty, even when it might be difficult to tell the truth, or easier to not tell the truth. Describe an ethical situation in business you have face that was relatively easy to handle. Who was involved? Where did the situation take place? When I first started working at Centris, I was entitled to mileage reimbursement when driving to meetings or other branch locations. I have never submitted my mileage since I have worked at Centris. What did you do with that part of the budget? I used that reimbursement money to do fun things with my team, like hosting a summer party for them at Stir Cove. It was easy because I live close enough to work that I felt I had extra miles to spare. I care about the financial viability of the credit union, and I care about my team. It involved an interaction with an employee and I here at Centris. I asked the employee to offer an apology to an angry member who wanted an apology for how they were treated when the employee believed they did nothing that warranted an apology. This was tough because I didn’t think this would be such a tough thing to get the employee to do but the employee was so headstrong on her not doing anything wrong to the customer that she would not give an apology. Ethics is something that is talked about and assumed freely here at Centris. It is easy to talk about because of how open our company is about what we expect from one another. It is sometimes difficult to have to quickly assess a situation and decide whether it is an ethical dilemma or not. When you think what you are doing is “right”, then you don’t think about there being a line between right and wrong. Everything is on one side of the line, therefore there is no line. It could be uncomfortable at times, especially when you begin to second guess yourself. Definitely. There are people who knowingly violate regulations, there are people who unknowingly violate regulations, and then there are people who comply with regulations. If you incur the cost to comply, the two people in violation have a financial advantage by not incurring the expense to comply. Nebraska Coach Tom Osborne is one of biggest mentors. He genuinely cared about his players and in return they trusted him and worked hard for him. He talks about Selfless Leadership. When you care more about the other person than yourself, you will always do the right thing. I highly recommend reading his book “More than Winning”. On the other end I have had mentors that have been negative, I worked with the three men from TierOne Bank who were sentenced to prison last week. I worked [directly] with one of them. Knowingly or unknowingly, they took on an enormous amount of risky loans. When the value of those loans collapsed, they lied to regulators and investors about the current value of the underlying assets. Rather than tell the truth, they hoped the value would eventual come back. And it never did. How do your upbringing and family values play into your ethical development? My father was first a salesman and later a military commander. The flexibility of sales and the structure of the military made for an interesting combination of perspectives. He made several difficult decisions that may have conflicted with military protocol but he felt were in the best interest of his people. The higher I moved up within the company, the more people were watching what I do. If I don’t act in an ethical way, it gets magnified in my role as CEO. Now having won the BBB Integrity award/ been asked to be a Business Ethics Alliance Trustee why is it significant for you? Personally, I am extremely honored and humbled to be recognized for treating our members in an ethical way that benefits both them and the credit union. We work very hard to find win-win outcomes. My employees are ecstatic. Being recognized for the way they believe business should be conducted is a huge honor. Competition, now a days everything is so cut throat, you are under such a small microscope and expected to succeed. There are 93 million unemployed Americans, it’s about creating a competitive advantage to stand above the crowd in an ethical ay when others might be cutting corners to get ahead. I suggest you surround yourself with a network of quality people, be humble and have patience. Being humble doesn’t mean being passive, it means being thankful for the opportunities given. Cream will always rise to the top and bad actors will eventually be exposed. It may take years or even decades, but eventually they will be exposed for who they really are just like Bernie Madoff. We would like to thank Steve for taking the time to talk with us, sharing candidly his experiences over the years, especially with regard to the sometimes-uncomfortable topic of ethics. We greatly appreciate his openness and willingness to discuss ethics throughout his professional life. He makes every effort to live up to the official mission and vision statements, trying constantly to keep Centris the pinnacle organization for employees and members, alike.